I only know of two men who really understand the true value of gold — an obscure clerk in the basement vault of the Banque de Paris and one of the directors of the Bank of England. Unfortunately, they disagree. Money is gold, and nothing else. Nobody really understands gold prices, and I don’t pretend to understand them either. These quotes illustrate the perennial challenge that investors face in deciding what role gold should play in their portfolios. Few understand how to value gold, and even fewer understand that gold is not really an investment — it is money. Of course, if you want a portfolio that preserves wealth, money is a good place to start. Saying gold is not an investment may seem strange, especially since I recommend some gold in an investor’s portfolio. To illustrate this point, you can reach into your purse or wallet and pull out a dollar bill. You think of the dollar as “money,” but you do not think of it as an investment. An investment has some element of risk, and typically has some yield in the form of interest, dividends or rent. Money can be turned into an investment by using it to buy stocks, bonds or real estate. But as a dollar bill, it is just money; it has no yield and will still be a dollar tomorrow or next year. I’ve had conversations with several of the Federal Reserve Bank presidents. When you ask them point-blank, “Is there a theoretical limit to the Fed’s balance sheet?” they say no. They say there are policy reasons to make it higher or lower, but that there’s no limit to the amount of money you can print. I always tell people who say we’re not on the gold standard that, in a way, we are. You can put yourself on a personal gold standard just by buying gold. In other words, if you think that the value of paper money will be in some jeopardy, or confidence in paper money may be lost, one way to protect yourself is by buying gold, and there’s nothing stopping you. The typical rejoinder is, “What’s the point of owning gold? They’re just going to confiscate it, like Roosevelt did in 1933?” I find that extremely unlikely. In 1933, we’d just come through four years of the Great Depression, and Roosevelt was new in office. People talk about the first hundred days, but he closed the banks right after he was sworn in. And he confiscated gold only a few weeks later. And it wasn’t as if Elliot Ness was going door to door, breaking into your house and taking gold. They wanted to get a small number of people who had 400-ounce bars in bank vaults. And they got those people because they were able to close the banks and use them as intermediaries to confiscate that gold. But now, it’s far more dispersed, and there’s far less trust in government. 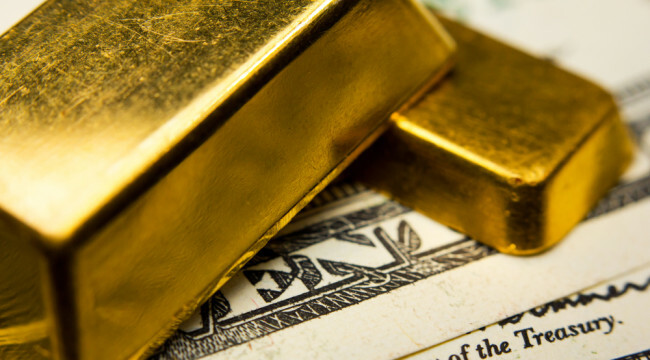 If the government tried to confiscate gold today, there would be various forms of resistance. The government knows this. So they wouldn’t issue that order, because they know it couldn’t be enforced, and it might cause various kinds of civil disobedience or pushback, etc. As long as you can own gold, you can put yourself on your own gold standard by converting paper money to gold. I recommend you do that to some extent. Not all in, but I recommend having 10% of your investable assets in gold for the conservative investor, and maybe 20% for the aggressive investor — no more than that. Those are pretty high allocations relative to what people have. Most people own no gold, and all the institutions combined have only a limited allocation to gold. So even if you take the low end of this range, you’re still nowhere near 10%. In fact, institutions could not raise their gold allocation even to a few percent. There’s not enough gold in the world — at current prices — to satisfy that demand. So it’s got this huge upside associated with it. Still, central banks don’t want to go to a gold standard. But if gold is a barbarous relic, if gold has no role in the monetary system, if gold is a “stupid” investment, then why do the Chinese keep buying it? Are they stupid? Gold has already rallied about 20% since the start of the year. If some scenarios play out, you are going to see the price of gold go up… a lot more. And it may go up a lot in a very short period of time. It’s not going to go up 10% per year for seven years and the price doubles. It could have a kind of a steady upward movement… and then a spike… and then another spike… and then a super-spike. The whole thing could happen in a matter of 90 days — six months at the most. When that happens, you’re going to have two Americas. You’re going to have an America that was not prepared. Paper savings will be wiped out; 401(k)s will be devalued; pensions, insurance and annuities will be devalued through inflation… Because remember, it’s not just the price of gold going up. Deflation seems to have the upper hand right now. But the monetary system can swing from deflation to inflation rapidly, without any intermediate steps. At that point, you have to give more credence to gold. Now you’ve crossed the threshold. The minute you think of gold and paper money side by side, or having some relationship, you get to these price levels of $7,000–8,000 an ounce. They’re not made up. They’re not there to be provocative. They’re actually the math. Those are the numbers you get when you simply divide the money supply by the amount of gold in the market. People are going to have to pay attention to that. And either the Chinese are dopes, for example — which they’re not — or people will start to get gold, which they will. You can’t just write a game plan today and follow it step by step. That’s nonsense. You have to be nimble; you have to be following developments; you have to be prepared to change your mind based on new news.